doors are closed. get on our list to find out when the next course runs! The Get Legit on Instagram Course is the only social media course that focuses on real actionable steps to maximize your Instagram presence, and convert followers into paying clients. I thought success meant making money in my business, so I could buy things to make up for the time I wasn't spending with my family. And then I realized time was currency - and everything changed. I was pouring all of myself into the areas of my business that I "thought" were fruitful, but in reality didn't have as big of a payoff. So, I flipped the switch. I focused on intentional, organic engagement with my followers, and in turn created a multi-six figure business that supported my life and honored time with my family. With the Get Legit on Instagram strategy, I found my interactions and engagement not only went up, but allowed me to monetize my business in a way that allowed me to be more present with my daughter, Myla and husband, Matt. And now, I want to show you how to turn your side hustle to a full time job. I want to teach you how to work less and make more. I want to teach you how to use Instagram to level up your business in a real, authentic way! 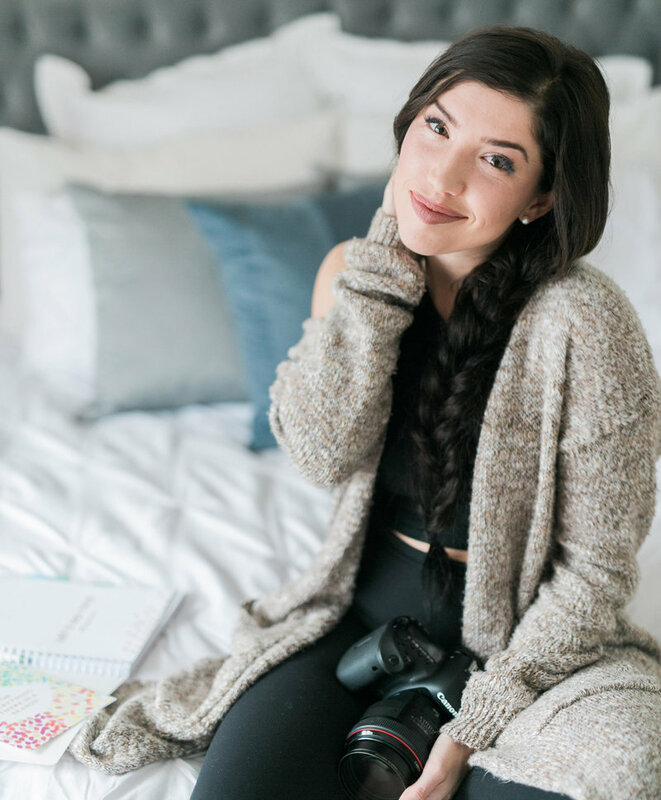 Leveling up your Instagram while staying in your comfies! The truth of it is, that’s not how it works. No matter if you have 10 or 100,000 followers - if you aren't connecting and engaging with them they are less likely to buy from you. I learned that showing up, caring and connecting allows them to feel encouraged to buy from you, without feeling like they’ve been pitched. This course walks you through real actionable steps to growing and cultivating a legit following that converts into paying clients. how long can i access materials? This course is six weeks long. Each week we will present a new module. Can’t make the live course each week? Don’t worry! We will upload a recorded version that you will have access to for up to 12 weeks. All video webinars are on ZOOM. You will have access to the recorded materials and videos for up to 12 weeks from the start date of the course. All payments are secured through our online store in Shopify. Payments are accepted via credit card or Paypal. All Kentucky sales taxes apply to our products within our shop. You will learn our very method, and receive the exact formula we used to create an intentional and organic following! Through this course you will learn from an expert on how develop a real strategy, find your target audience, understand the power of storytelling, the follower formula and what people really want to see. Bonus, I’m a successful photographer - learn iPhone photography 101 from a pro to create a consistent feed that will have your followers coming back for more. After you confirm your seat in the course, you will receive access to the LIVE 6-week course followed by a LIVE Q&A where you can ask me all the questions. Each week you will receive a section of the Get Legit Workbook that will include prompts, challenges, tips that you can follow along during our time together. Can’t make the LIVE course each week? You will gain access to recordings of each course. You will have access to all materials for a total of 12 weeks. when do i receive the workbook? Each week, we will teach a LIVE course over a specific topic. With each week, we will show you the formula to take your Instagram feed to the next level. Be sure to put your email in correctly! This is the only way we can get in touch with you to send over information regarding the course! Each week you will receive an email with a link to access the course topic 24 hours before it goes LIVE. You will also receive the section of the workbook that we will be covering. Within 48 hours of a course going live, you will receive the recording (just in case you missed it!). can i receive a refund at any time? All sales are final. Due to the nature of digital products, exchanges and refunds are not provided. Please see our Terms and Conditions Page if you have any further questions on the nature of digital products and our company.